01492 572614 . . . Monday - Friday 9am - 5pm. ValleyStream Cultural Media, Plas y Graig, Iolyn Park, Conwy, North Wales, LL32 8UX. Please make cheques/postal orders payable to "ValleyStream"
and allow 7 - 14 days for delivery. "20 Year History - the 5 Classic Yacht Races"
The Whitbread Round the World Yacht Race (now Volvo) is the ultimate ocean challenge and attracts the cream of yachtsmen and women. The first race took place in 1973-74 and was a trying adventure for all concerned: only 14 competitors completed the race, and 3 yachtsmen lost their lives. Further events were held, each one improving in technology and popularity. 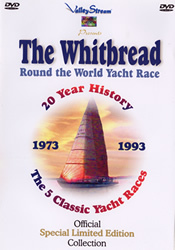 This stunning DVD contains original film coverage of the first 5 Whitbread races. simply the longest, toughest ocean race around the world. 50 mins. For all ages. Award-winning drama based on the childhood of real life Romani Eldra Roberts, a descendant of the famous Abram Wood/Roberts Welsh Gypsy Tribe. Produced by Teliesyn for S4C. 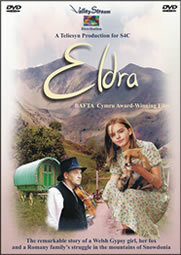 "Alongside Hedd Wyn, Eldra has to be one of the cherries of historical dramas to ever spring from Cymru (Wales)." Soundtracks are by celebrated triple harpist Robin Huw Bowen. 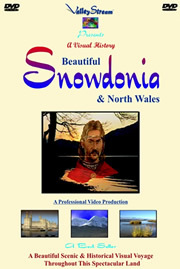 Available in Welsh with English subtitles or Welsh only. 90 mins. For all ages. The remarkable story of a Welsh Gypsy girl, her fox and a Romany family’s struggle in the mountains of Snowdonia. A spellbinding true yarn of famous Welsh Romanies in the 1930s, set amongst the blue grey shadows of a North Wales slate quarry. Tensions rise when quarryman's son Robat becomes fascinated by Eldra, a barefoot Gypsy girl of noble kaulo ratti (dark blood) and exotic ancestry. Her gamekeeper father trails in tow of Lord Penrhyn at his Castle whilst Eldra struggles with discrimination. Unswayed, she stays true to her Romani traits, tickles trout, and befriends an abandoned fox cub and beady-eyed barn owl. 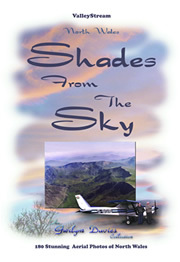 Under a Cymru summer sky, Robat’s closeness to Eldra sparks resentment from his jealous brother and bandit buddies. Who will win amidst the conflicts and friendships? Meanwhile, Eldra’s grandparents roll into town in their Gypsy caravan, reminding the family of their Romany ways. With flash and flamboyance, the family proudly dance to the tune of Taid’s bosh (fiddle) whilst Eldra plays her harp. But although the quarrymen join in with a choral song, Taid warns Eldra that the two cultures cannot mix. So can the small Welsh community accept the colourful Gypsies? SEE more about the production and the real Eldra Roberts . . .
Enillodd y ddrama hon sawl gwobr ag mae wedi ei seilio ar blentyndod Eldra Roberts - oedd yn hanu o dylwyth y Sipsiwn enwog Abram Wood/Roberts. 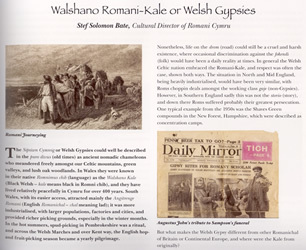 Hanes cyffrous rhai o’r Romani Cymreig yn ystod 1930 au wedi ei osod ym mysg cysgodion llwydlas chwarel lechi yng Ngogledd Cymru. Daw teimladau cymleth a thensiwn i’r wyneb pan gaiff mab chwarelwr o’r enw Robat ei hudo gan Eldra, Sipsi fach droednoeth. Mae gwaed cyfoethog (gwaed tywyll) “kaulo ratti” yn llifo drwy wythiennau Eldra. Etifeddiaeth egsotig yn wir. Cipar sy’n gorfod cowtowio i’r Arglwydd Penrhyn yw ei thad, yn gweithio ar y stad fawr a’i phlasdy hardd. Tra mae Eldra yn gorfod ymgodymu â rhagfarn eraill - pery i fod yn driw i’w natur - yn cosi brithyll, yn gofalu am genaw llwynog a thylluan sy’n llygad rythu ar bawb. Dan heulwen haf mae’r cynhesrwydd sy’n tyfu rhwng Robat ag Eldra yn achosi eiddigedd yn ei frawd ag hefyd yn mysg ei ffrindiau “y gwylliaid”. O rywle daw Taid a Nain Eldra i’r dref yn eu carafan draddodiadol ag atgoffant y teulu am ffordd o fyw y Romani. Pwy all enill yng nghanol y gwrthdaro a’r cyfeillgarwch? gorawl mae Taid yn rhybuddio Eldra na all y ddau draddodiad fyth gyd fyw. A all y gymuned Gymreig a Chymraeg dderbyn y Sipsiwn lliwgar? Yr Eldra Roberts iawn . 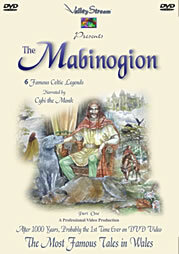 . .
"Scribed over 1000 years ago - Now available for the 1st time visually on DVD "
The Mabinogion is the most famous collection of Welsh tales, dating back to the dawn of the Celtic world. For hundreds of years bards told these stories to spell-bound listeners at the courts of the Welsh princes. They kept alive the history of their tribes, celebrating heroes such as the Emperor of Rome who married a Celtic princess and the earliest known King Arthur. It wasn’t until the 10th century that the tales were written down – and now ValleyStream has produced them on DVD video. Recently, the Mabinogion has inspired the work of many authors and poets, such as JRR Tolkien’s Lord of the Rings. Six stories are beautifully narrated here by Cybi the Monk, found sleeping with his apple in the heather-clad mountains of Wales. Original colour illustrations melt into stunning motion footage of dreamy wildlife and sleepy Welsh landscapes. 60 mins. For all ages. A "must have" for everyone's book shelf. 180 stunning aerial photographs especially cherry-picked from The Gwilym Davies Aerial Photo Collection. 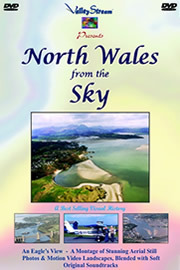 An array of intriguing images of North Wales tastefully blended with poetic historical captions and text. Many of Gwilym's aerial photos are unique, a time capsule of North Wales in the late 20th century. The Snowdon peaks * Bala * Harlech * Trawsfynydd * Bardsey Island * Ysbyty Ifan * Amlwch Port * Rhuddlan Castle * and an endless collection of other fascinating views. 80 pages in full colour. 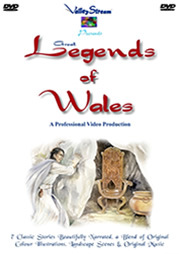 "6 classic tales of Wales, retold by Cybi the Monk" (actor John Hughes). Long ago, somewhere in darker times, when only the gifted few could write in ink, very few historical facts were left behind. Only the monstrous bluey-grey stone forts, castles and monuments, hidden amongst the beautiful valleys and mountains of Cymru (Wales), are visible reminders of what it must really have been like - often beautiful but mostly violent and harsh, as the Celtic people, their chieftains, warriors and heroes fought for their land and culture. Many strange and mystical happenings took place, and afterwards these events were folded away in time in the mythology of the local Welsh people, to be passed down the generations and often yarned over by quiet evening fires. Are these stories true? Something must have happened, and with a little imagination by your fireside we hope that you too will enjoy this collection of six amazing tales. 40 mins. For all ages. 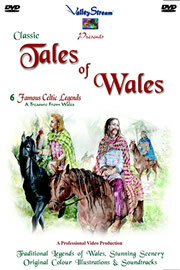 "Amazing classic stories of Wales - great for kids." Wales is encrusted in legends and tales, some originating over 2,000 years ago. 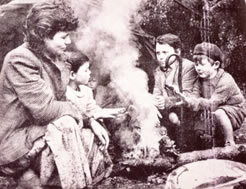 Celtic folklore has been passed down by word of mouth, often by firesides in hillside cottages or friendly local inns. The stories told of bold robbers and noble princes, of elusive mermaids and brave princesses, of poor saints and proud sinners. Now, you also can enjoy their adventures in a heroic and magical age amongst the beautiful countryside of South Wales & the West. A treasure from Wales to be passed down to from older to younger generations . . . For children and the occasional younger adult. Majestically told by actor John Hughes with original soundtrack music and set to video landscapes, photos and original colour illustrations. Seven classic tales. "A best-selling historical production of North Wales." A superb historical voyage through time in one of the most magical and beautiful countries in the world. Discover its stunning countryside of misty mountains, sunlit waterfalls and ruined castles, its princes, heroes and tales, its mines and industrial past. A cultural adventure. Centuries ago golden eagles flew over the high mountains of North Wales, watching their reflections in the deep lakes below. The Welsh people called this land "Eryri", meaning Land of the Eagles, whilst the Saxons named it "Snow Dun". This corner of Wales is now called Snowdonia, and through a tapestry of wonderful landscapes, dramatization, original music and illustrations, and the granite voice of local Welsh actor John Hughes, we invite you to explore with us the landscape, history and culture of this fascinating land. Take a trip with Gwilym Davies, "King of the Sky"
To view the landscapes of North Wales from the air on a crystal clear day would be a rare, once in a lifetime occasion for most of us, even if given the opportunity. We have all seen the magnificent scenery of the mountains, wooded valleys and coastlines from the ground, steeped in traditional Welsh culture and enriched in Celtic history. At cloud-level the waters of the Conwy and Mawddach estuaries and the sandy beaches of the Lleyn Peninsula make fascinating patterns. Above the mountains the the Edwardian stone castles, Portmeirion, and Telford's Bridge over the Menai Strait can be truly relished. Video footage of the beautiful countryside, taken over many seasons by ValleyStream's land-based cameramen, has been blended with still aerial photography by Gwilym Davies and pilot Arfon Evans, a rock solid narrative and original soundtracks, to take you on an amazing flight across North Wales . 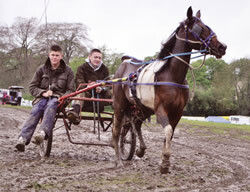 . .
"Nostalgic film documentary on working horses." The working horse has been shouldering the burden of man's survival since before records began, from carrying religious Crusaders into battle in the Holy Land, to ploughing the very soil beneath man's feet. Sadly, the majestic power of these magnificent creatures was overtaken in man's quest for more modern methods, and so, after the First World War, the decline of the working horse began. 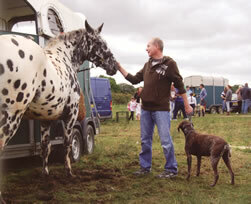 Today a handful of people still live and work with these most loyal and hardworking animals. This nostalgic video has been released to show a brief history of the working horse during the twentieth century and is dedicated to ... 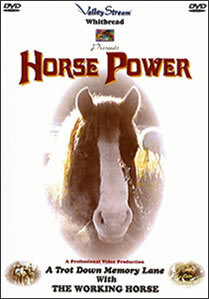 Horse Power. 25 mins. For all ages. Special Collector's Item - limited print run, second impression. Romany of the BBC was the UK's first wildlife presenter. Broadcasting on radio, he reached an audience of 13 million listeners. This is the last - and only remaining - recording in existence today! 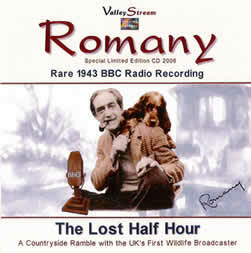 Romany's weekly series 'Out with Romany' went out on BBC Children's Hour from 1932-43. Based on countryside rambles from his Gypsy caravan, he was accompanied by young friends Doris and Muriel, Raq the spaniel and Comma the horse. This rare recording was originally transmitted in October 1943, six weeks before Romany's death. It has remained in archives for over 60 years and is now being released to the general public for the very first time. Introduction by ex BBC Radio Manchester John Mundy. 1. Original crackle and pop version first broadcast 5th October 1943. 2. Enchanted 21st century recording, with sound effects - how it would sound today! 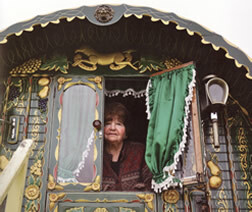 Read the full story - Romany of the BBC Circa 62 mins. "A unique 44 year 16mm film diary of young girl and her twentieth century family from The Wirral." In 1996 cultural film producer Stef Bate of ValleyStream discovered a rare unseen 16mm film archive of over 29,000 ft of cine footage. Behind the footage lay the true story of an extraordinary woman and her 16mm Kodak clockwork camera. She was Miss Marjorie Alexander - a wealthy young girl from Heswall, who literally captured on 16mm motion film from 1919-63 the lives and escapades of her middle- class family in North Wales and on the Wirral. 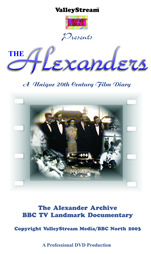 Miss Alexander began filming just after WW1 in 1919, shooting extensive footage every year for each decade right up into the "She Loves You" years of the Beatles. A unique 44-year film diary! Her cine footage records many aspects of twentieth century life on the Wirral, in Wales and abroad. She even documented events such as Hitler and the Nazis at Nuremburg in 1934 and the filmset for Ingrid Bergman's movie "The Inn of the Sixth Happiness" in Beddgelert, Wales. The National Film Archives: "This is a rare find, being on 16mm, to have a complete 44 year film diary on the lives of a twentieth century family - 16mm was very expensive at the time. To film every year is remarkable, and watch how the film stocks change as colour technology developed." Straight from the dusty attic of a North Wales cottage, after being hidden and unseen for nearly forty years, it's a miracle this collection exists today. Only days from being sold at a car boot sale for 50p a can, this film archive has now been carefully catalogued and restored. An award-winning film exploring the life of Juliette de Bairacli Levy. Traveller, herbalist, author, pioneer of holistic animal care, breeder of afghan hounds, and close friend of the Gypsies. 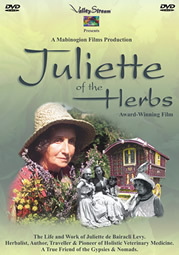 This beautiful DVD was filmed on location with Juliette in England, Europe and America. For over 70 years she lived with Romanies, nomads and peasants throughout the world, learning the healing arts of plants and natural remedies. Juliette was also a pioneer of holistic animal care and a breeder of Turkuman afghans. In the 1930s she wrote the first ever book on herbal medicine and natural treatments for vets. 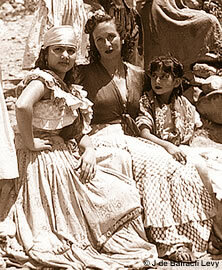 She went on to write many successful books on her life with Gypsies and the use of herbs. Interviews with Juliette plus archive photographs of New Forest and English Gypsies are interwoven with footage of Gypsies dancing and Bedouin herdsmen. Books by Juliette include: Wanderers in the New Forest, As Gypsies Wander, Complete Herbal Handbook for the Dog and Cat, Complete Herbal Handbook for Farm and Stable, The Illustrated Herbal Handbook, and Natural Rearing of Children. The Bible, the most famous book in existence, was written thousands of years ago. The Bible is divided into two parts: The Old Testament, originally written in Hebrew, telling the story of the Jewish people, and The New Testament, written in Greek, telling the story of Jesus. From where did Heaven and Earth come? How did the sun, moon and stars form? God the Creator made perfect this world and also made other spirit beings like himself. The Earth was created for people, and so Adam and Eve emerged from the soil. These beautiful stories tell of all the good, bad or unusually powerful people who strove to find the meaning of life. 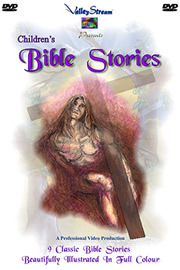 From the Creation through to the crucifixion of Jesus, these 9 beautifully illustrated stories are majestically told by the stunning voice of John Hughes. 52 mins. For all ages. Please select correct postage below. 204 pages & over 250 photographs. These award-winning authors spent 5 years travelling in the UK and Hungary recording the lives of these fascinating people. Tina and Annemarie have exhibited widely throughout Europe, and their work is held in many collections, such as the V&A and Photographers' Gallery in London, and the National Library of Wales. * Shamus McPhee considers life as a Scottish Nacken. 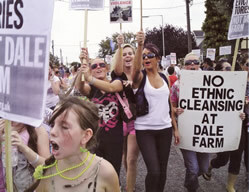 Plus the Hungarian Roma, housing and traveller sites, Dale Farm eviction, and much more.